Travel is the best excuse to experience some of the most extraordinary things in life. Removed from the everyday routine you are bound to try new things. Challenge your comfort zones, widen your horizons, go for new travel experiences. As you are trying something new, you get to experience a destination in a whole new way. On my travels, I have done some pretty crazy things. I have flown in a helicopter. Hiked along a boardwalk halfway between heaven and earth. Seen a ghost or two. All of these experiences will stay with me forever. They will be eternally connected to a certain location where I met special people who taught me some new tricks. From bike riding to seeing glowworms in a cave – here are my top travel experiences in the world so far. I hope it will inspire you to see the world differently. I, for my part, have decided to pursue more of these experiences now. It has a reputation of being the most dangerous hike on earth, but these days are long gone. Today, the Caminito del Rey is a tourist path which is so safe you can even bring along your older kids. Even though some people will cringe when looking at the pictures, there really is nothing to be afraid of. Quite the opposite. The walkway which leads through two gorges in the hinterland of Málaga, is one of the rawest and most beautiful nature experiences you can have in Europe. In some stages, the walkway is suspended some 100 meters above the ground. And while you can listen to the murmur of the river underneath your feet, it is the coming and going of the playful swallows above your head that will keep you entertained. A wholesome, unique and truly enjoyable experience that deserves to be on top of my list. Ireland’s landscapes of bogs and marches really is underrated. The play of colours, from rusty red to yellowish green, the fresh winds, the painted skies, all of this make this country a very special place not just for nature enthusiasts. It is of course possible to explore Ireland’s wild and wet landscapes on foot or in a car. But taking a bike instead makes this a so much better as it will give you a truly immersive travel experience. For me it was such an incredibly enjoyable moment also because I hadn’t been on a bicycle for a very, very long time. Riding the boardwalks around the historic sites of the first transatlantic wireless station and the landing site of the first non-stop transatlantic flight, was easy and fun. Surrounded by sheep who stared at us with dubious eyes, we explored this very unique and historic area near Connemara in the best way possible – highly recommended. When we arrived at Fort Bravo with the children, the town lay deserted. Neighing horses in the background, circling birds of prey above our heads, clouds of dust in the streets, and nothing else. As we were soon to find out, that was because everybody was at the saloon – where else would they be? Inside, a poker game was in full swing, which quickly tuned into a fist fight and then a gun stand-off. Loud bangs, shrieking ladies, crying children… it was a performance just like in one of the many Western movies that you know from your childhood. And that’s no coincidence. Fort Bravo near Almeria is the backdrop of one of the best known Wild West film productions. Because the surrounding Tabernas desert resembles so much the American Wild West, and because production is cheaper than across the pond, movies like The Good, the Bad and the Ugly are produced here. A visit to Fort Bravo is not like a day at a film park. It’s the exploration of a real film set. From church to train station, from Indian camp to military fort, from Mexican pueblo to the main street – there are many things you can see here, and some will even look very, very familiar. Q Station is a spectacular hotel complex on the Northern Beaches in Sydney. The hotel uses the buildings of the former Quarantine Station in Sydney. This was the place where ships had to dock whenever they arrived from Europe with disease on-board. Set in pristine bushland on a peninsula on the mouth of Sydney harbour, the resort is one of the most unusual places to stay in Sydney. It’s a wonderful nature experience surrounded by lots of Australian wildlife. Yet the city centre of Sydney is just a short ferry trip away. Q Station is a proper hotel with rooms, restaurants, and event places which are all spread out over the existing buildings that used to house passengers, crew and staff. And there is more: A cemetery for example, a morgue, and the old hospital. At night, you can join one of the ghost tours which is guaranteed to send shivers down your spine. The Quarantine Station in Sydney has many sad and tragic stories to tell – a unique piece of Australian history. Imagine you sat in a boat in complete darkness. Around you everything and everybody is whisper quiet. All your senses are in a state of alarm, waiting for something to happen, to confirm that you are still alive. The boat is swaying softly from side to side as it glides forward. There is not even the sound of oars cutting the surface, as the guide will pull the boat along a wire above your head. And then, as your eyes adjust to the darkness, you start to see it. Millions of tiny bright dots. Like a starlit sky but much much closer. It’s the most beautiful thing, a sight you will never forget. In New Zealand, a visit tp Waitomo Caves is one of the best and most unique travel experiences you can add to your bucket list. The lights that you see come from millions of glow-worms that are sitting on the cave ceiling. Their sticky fishing rod thread is glowing in the dark to attract flying insects from the river. Imagine the first people to discover this miracle which is sure to leave you in awe. The Australian outback is sadly overlooked. To me, however, the endless skies, the harsh climate and strange people in this very remote part of the world are unforgettable. When we toured the Red Centre of Australia together with the kids some years ago we wanted to make the most of the experience. Since we were travelling with children we couldn’t join the more strenuous hikes. But this didn’t mean that we couldn’t at least get a glimpse at the natural wonders out there. So we booked a flight in a helicopter instead. Not just one, but two, since a helicopter would only take three passengers and we were a family of four. What we got to see from above, the majestic landscapes of Kings Canyon and the red dusty plains of the Australian outback, will remain one of the most unforgettable travel experiences that we ever had. Sure, a helicopter flight is not a cheap experience to have, but it was worth every cent. 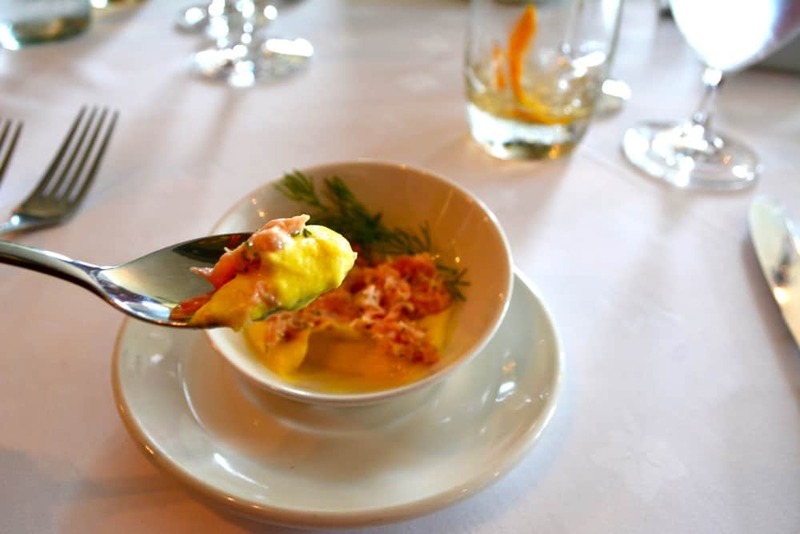 Our dining experience on the Isle of Skye is something that I will never forget. Of course, the food was wonderful and tasty and lovely from top to bottom. A culinary journey through the Scottish highlands and lowlands, along the coasts and deep into the pastures. But it is what happened before our meal that will stick with me forever. Before arriving at Kinloch Lodge we had visited the famous Fairy Pools. We went on a hike along the stream, constant drizzle surrounding us, shoes not equipped for the muddy and slippery ground. This is where I lost my travel partner. I walked on and on in the rain, looking out for her, only to realise that she must have returned to the car already. When we finally arrived at the restaurant, I was a mess: Soaking wet, muddy pants, frozen solid. You will read none of this in this post, but when I today look at the pictures of this wonderful, first-class meal I cannot help but chuckle at the memory of the state I was in when I was presented with some of the best food that Scotland has to offer. 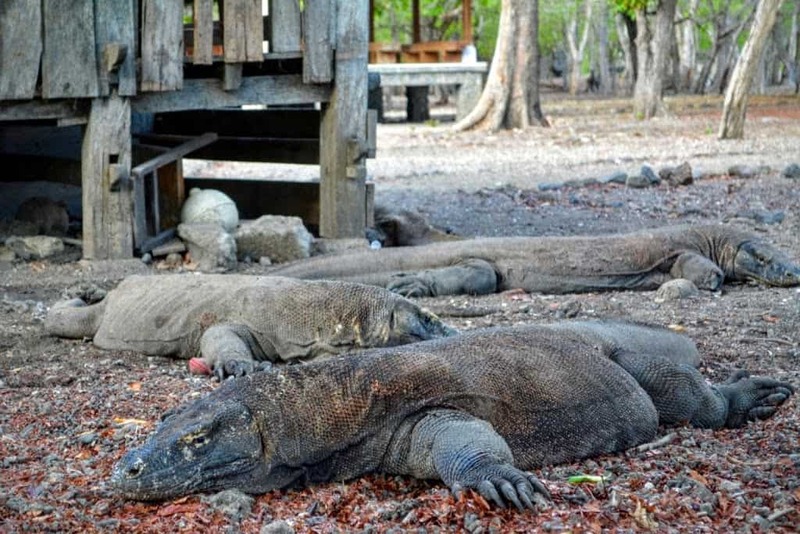 Every child has heard of the fabled Komodo Dragon, a unique species that can only be found on two or three islands in Indonesia. This vicious creature is a predator you don’t want to encounter in nature, ever. They are cunning and fast. Their bite won’t kill you but the bacteria in their saliva will finish you off. They will swallow you whole and digest you bit by bit. I was curious when I saw this animal encounter featured in the itinerary provided by the Indonesian tourism board. But my curiosity soon turned into a state of alarm when I learned that the Komodo Dragon could smell blood like a shark. Visitors were told to cover up any scratches and wounds. But what about females who were having their menstruation? Of course, it was me who won the jackpot in this case. Luckily, I got my own personal bodyguard to my side as we were exploring Komodo Island, even though he was only armed with a long forked stick. But hey, I survived and was not eaten by a big lizard, so who am I to complain? The ancient town of Kotor is a hidden gem in the deep fjords of Montenegro. The tiny old town is surrounded by steep limestone mountains that provide a wonderfully romantic backdrop for fantastic pictures. It’s a popular cruise ship port with lots of traces of the past that are yet to be discovered by mass tourism. When we visited Kotor we couldn’t wait to climb the old city walls that were zigzagging up the mountains behind the town. They were in a bad state of repair, at times quite a challenge to conquer. At some point, we found two handwritten arrows on the wall, one pointing to the fort on top of the mountain that everyone was trying to reach. The other one pointing in the opposite direction, away from the fort. It said, “church”. Just outside Portugal’s capital Lisbon, there is a small town in the wooded highlands that used to be the summer residence of kings and nobles. The town is called Sintra, and it has a wealth of stately homes, palaces and gardens like no other place in Portugal. We visited Sintra with the children on one surprisingly cool and misty summer morning to see the garden of Quinta da Regaleira. Previously owned by a millionaire, the landscape around the villa had been transformed into an adult playground. Grottos, tunnels, gazebos… there were many things to explore with the children. Highlight, however, was the famous initiation well. Sort of like an inverted tower dug deep into the ground with a spiral staircase inside the walls. A curiosity, a trick of the eye, a stunning architectural feat. The way the sounds echoed off the walls, the moss-covered walls, the play of light and darkness as we walked through the tunnels and into the staircase… Just one of the many travel experiences we had while we were in Sintra, but by far the most outstanding one. When we travel we do things we would never think of doing at home. We step out of our comfort zone. Challenge ourselves to try new things. Collect memories like other would postcards. What has your most memorable travel experience been so far?